There’s a healthy alternative to your sugary kids food crafts. 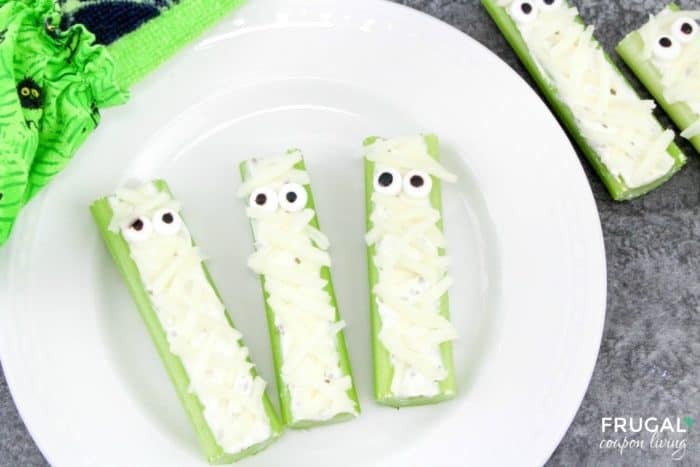 These Celery Mummy Snacks for Halloween are adorable and made from cheese and celery stalks. I really try to incorporate the season into my kids daily activities and recipes. I don’t do something every day, in fact sometimes it’s a struggle to get one thing done during the week, but I love making them feel special with creative and EASY Pinterest ideas. Easy being the key word. 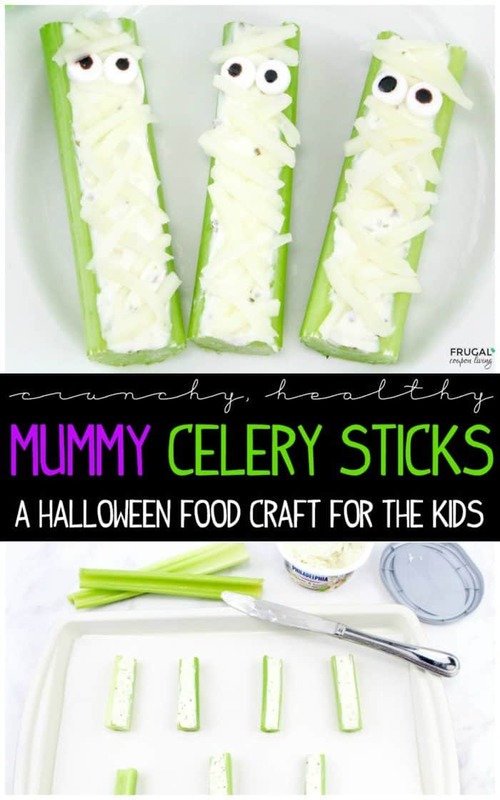 In an effort to find something healthy that the kids would love, we came up with our Celery Mummy Snacks. 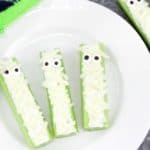 This Kid’s Halloween Kids Food Craft is so simple you might make it as an after school snack every day! The kids can also have their hand in making it as there are a few simple ingredients and they tools are easy – use butter knife and get it all done! 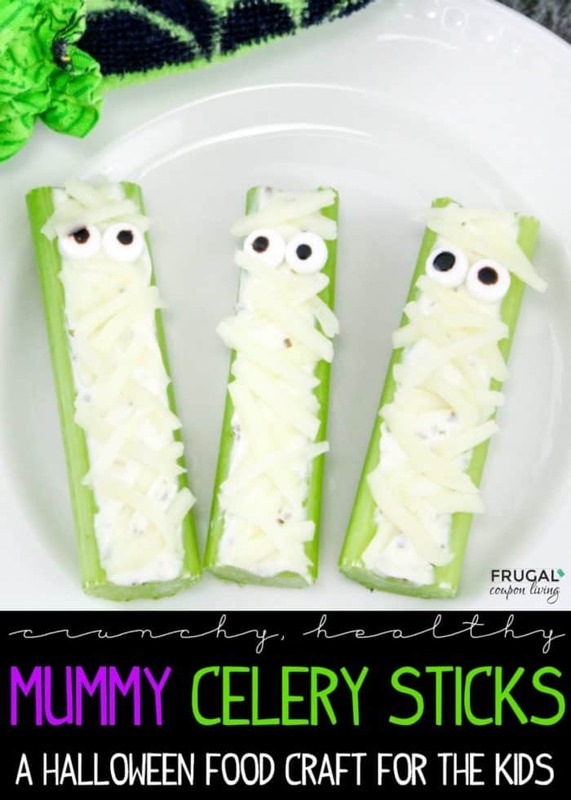 We also suggest these mummies for a school party snack. Unless there is dairy allergy, you likely can feed the entire class. They are peanut free and the teacher won’t complain about the extra sugar. Enjoy and let us know how they turn out! We love to hear from you. 1. Cut celery into 3-4 inch pieces. 2. 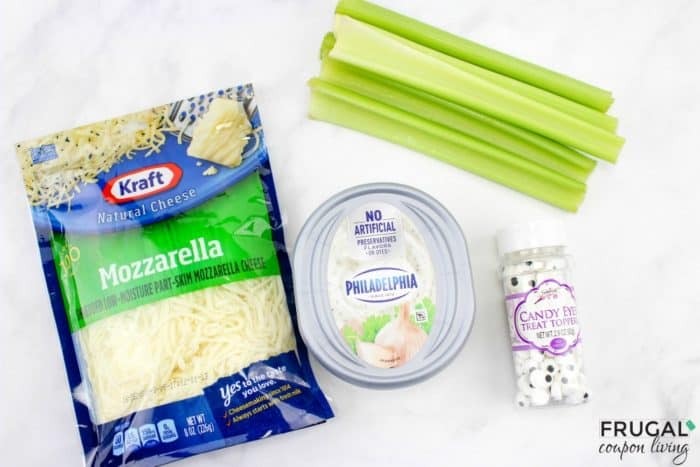 Spread the cream cheese onto each celery stick. 3. Place the mozzarella cheese one by one on top of the cream cheese. Make sure to cross them and overlap the pieces so it’ll look like a wrapped mummy. 4. Stick on 2 eyeballs and enjoy this fun treat! We have so many ideas for Halloween. Take a look at our 31 Days of Kid’s Halloween Food Crafts. Pin to Pinterest on your Halloween and Recipe boards. Leftover Halloween Candy? 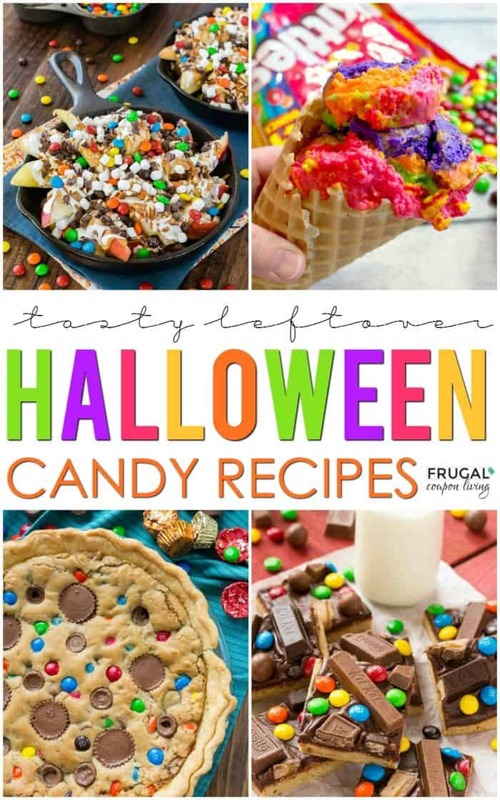 Take a look at these Creative Ways to Reuse Leftover Halloween Candy. Pin to Pinterest on your Halloween and Recipe Board.